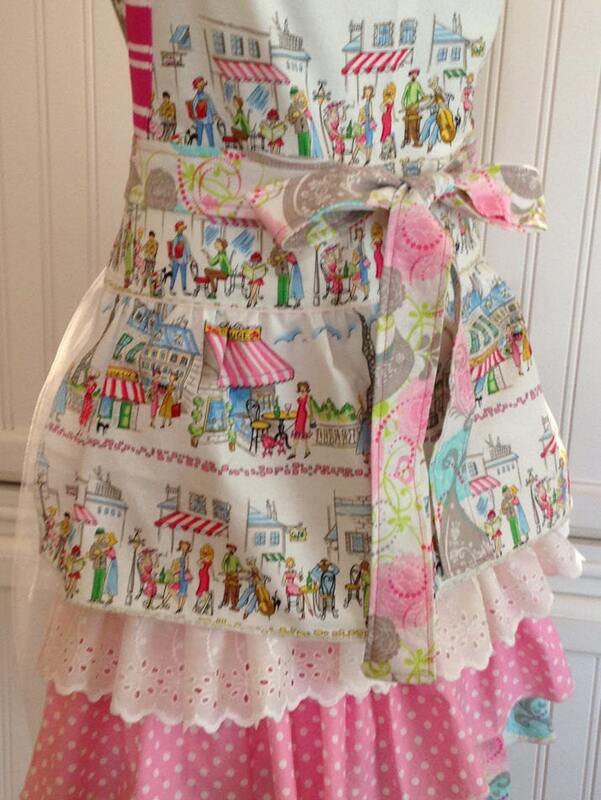 A Paris cafe and street scene printed on quilt quality cotton with an eyelet lace ruffle make this ruched bodice full apron extra special. 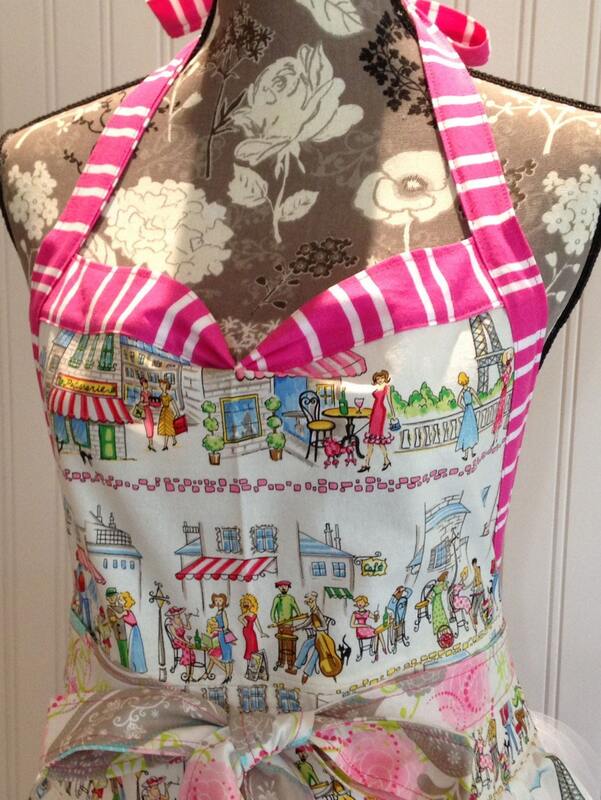 The hot pink striped ties and bodice trim highlight the striped Paris cafe awning. 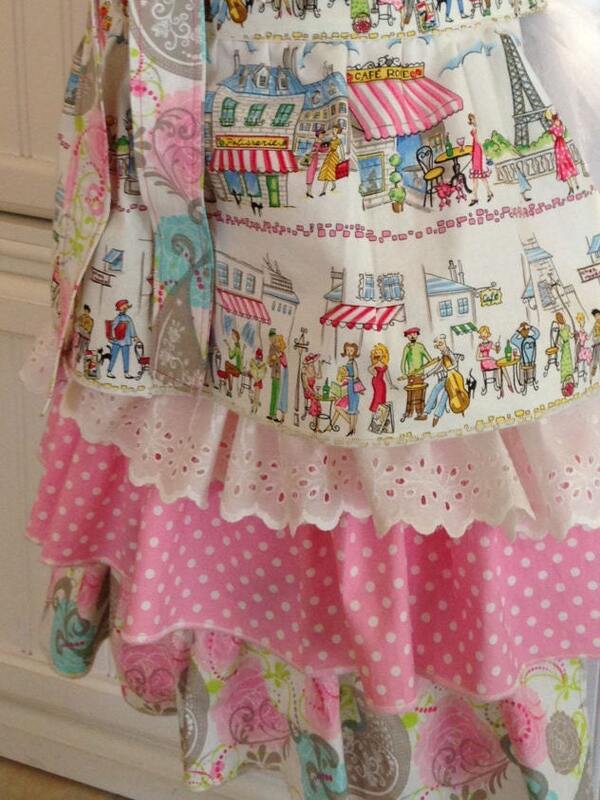 The pink polka dot ruffle coordinates with the pink and aqua bird print on the bottom ruffle and waist ties. This style bodice is figure flattering. 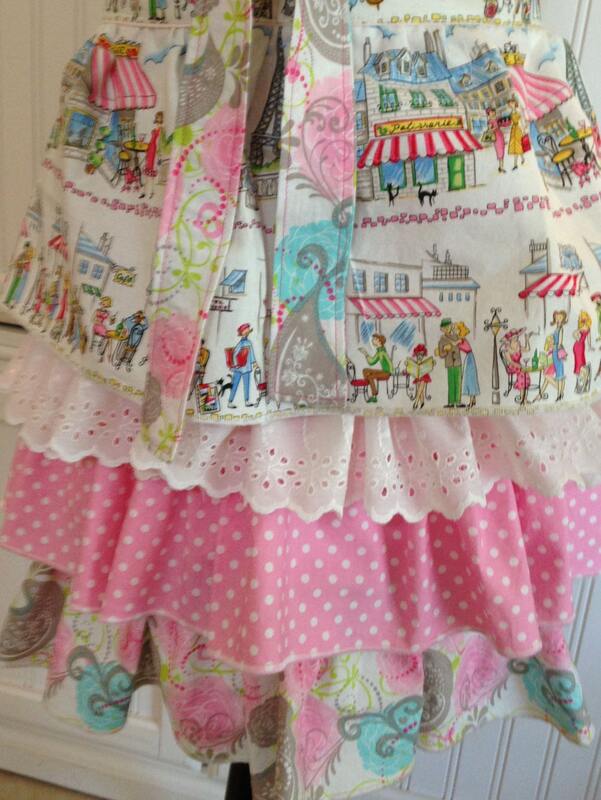 The ruffled skirt with its four tiers is slightly longer for a slimming fit. The quilt quality cotton material is pre-washed to prevent shrinkage. All seams are serged for longevity.